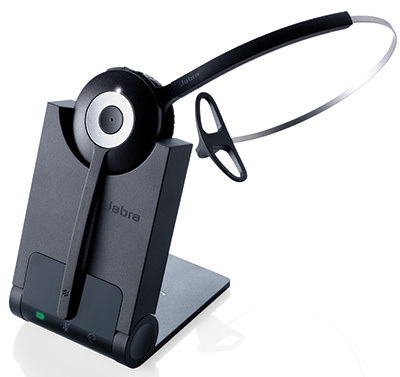 The Jabra Pro 935 is a wireless 2G4 Bluetooth headset that connects to PC softphones and smartphones. Users can have cord-free phone conversations up to 100 meters (300ft) away from their desks for improved collaboration, multi-tasking and productivity. 2G4 wireless technology is optimized for high density office environments and security.